Medium Transport Pack - Shadow Gray | BUDK.com - Knives & Swords At The Lowest Prices! Whether you’re camping and hiking or traveling and bugging-out, this Transport Pack is well-suited for organizing and carrying your gear. 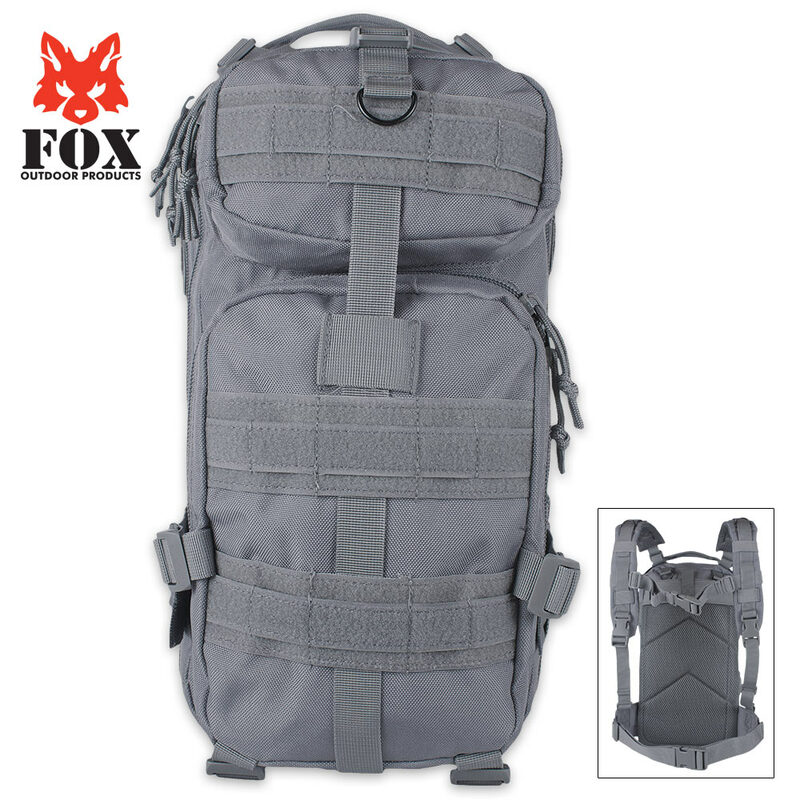 Constructed of gray, extra heavy-weight 1200 Denier material, this backpack is extremely durable, featuring self-repairing zippers. 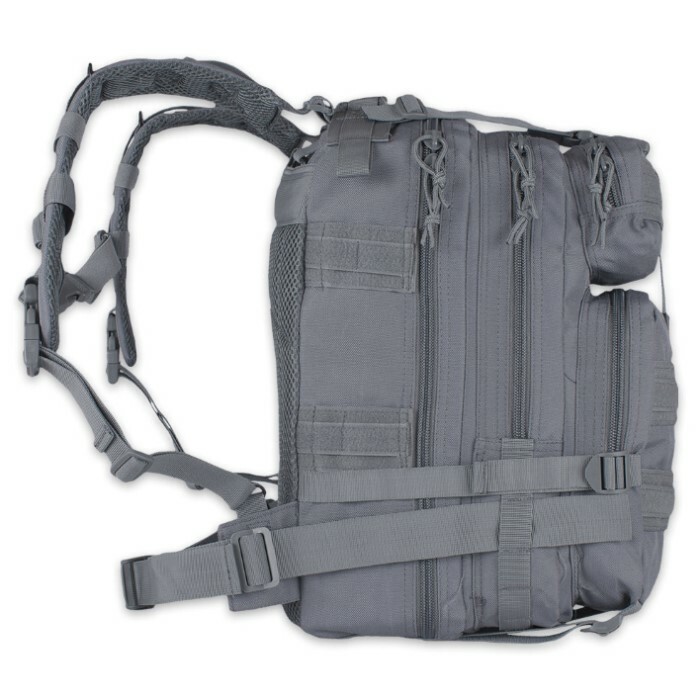 The large, main zippered compartment has a pouch and a mesh pocket and there are two zippered pockets on the outside of the bag, as well as, three rows of loop panels with modular attachment points. The padded and breathable mesh back panel has a hydration pocket with an easy access tab and the padded shoulder straps are easily adjustable. 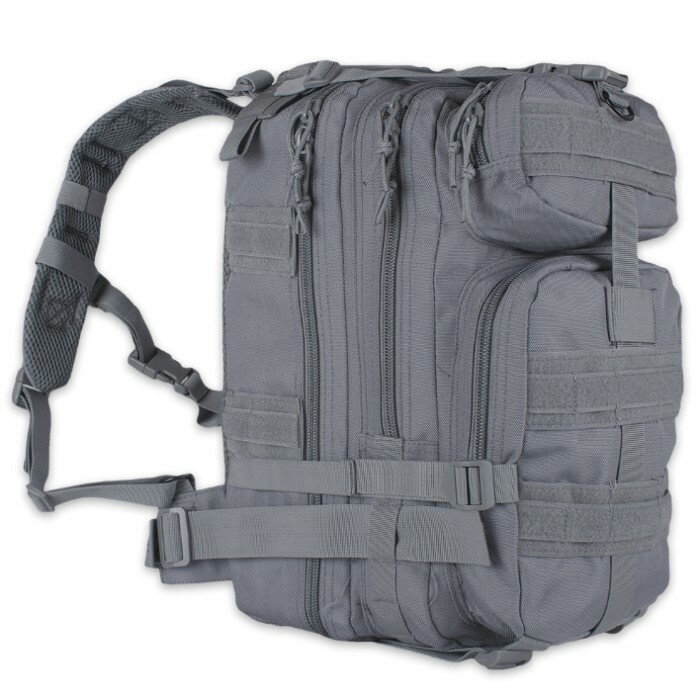 The pack also features two gear web straps with a slide buckle and a vertical compression strap. When you’re ready to go, this pack has a place for everything you need!